Arwood Site Services of Jacksonville assists in emergency cleanup, safely clears wreckage and debris and excavates destroyed areas to prepare for rebuilding. 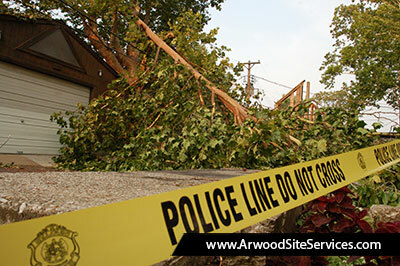 Arwood Site Services of Jacksonville is there for you when a natural disaster unexpectedly strikes your hometown. We want to help put you back on your feet – quickly and affordably. Arwood Site Services of Jacksonville has the expertise and equipment to provide thorough cleanup and debris removal of affected areas. Whether you have uprooted trees, fallen electrical poles, concrete debris or unstable structures, Arwood Site Services of Jacksonville provides you with safe service and fast response. We first identify potential hazards of the disaster area and strategize the most effective cleanup process. Then we work together with local contractors to quickly remove debris and clear channels of communication. In any emergency cleanup effort, debris removal is the first essential step to stabilizing a disaster area. 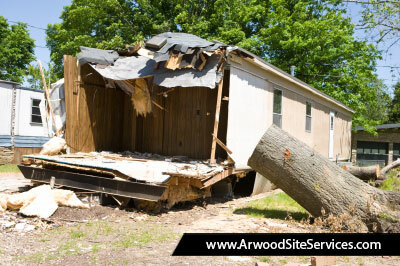 Arwood Site Services of Jacksonville provides debris removal and disposal in a timely manner to ensure a quick response. 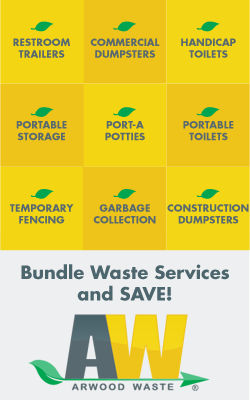 We have the equipment ready and the seasoned experience to start any cleanup effort as soon as possible. 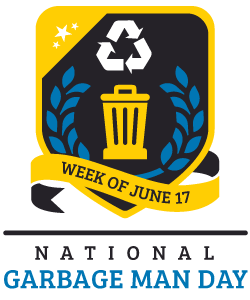 As the cleanup process unfolds, we safely dispose of the wreckage and recycle eligible materials. No matter where you are located in North Florida and South Georgia or how severe the situation, Arwood Site Services of Jacksonville has the manpower and expertise to reach you. After the initial cleanup of an emergency area, it is important to quickly rebuild and restore the damage. Before rebuilding process can begin a disaster site must be excavated and prepared for construction. Arwood Site Services of Jacksonville not only clears debris but prepares disaster sites for contractors to rebuild structures. With our equipment already on site, we can prepare the foundation, dig new basements or remove sunken structures for a full excavation. Arwood Site Services of Jacksonville will see the job through from disaster to rebuild. We guarantee a complete and rapid rehabilitation.